How can you put a nightstand in a drawer or expand a wet bath? 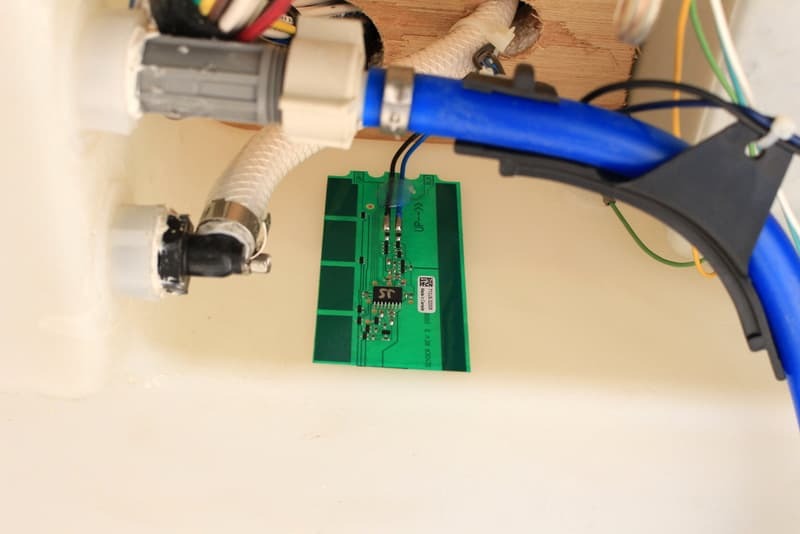 Is it possible to silence a refrigerator fan or fill batteries without looking? See these tricks revealed and more from ten talented mod-magicians! Welcome to the May 2017 Super Cup Monthly Mod Contest. Please review the following ten Medium Mods and vote for your favorite. We will announce the winner next week. For more information about the Monthly Mod Contest, including how to enter, click here. This mod contest is now complete. Congrats to Charlie Coushaine for winning this month! I wanted a nightstand. I didn’t have one, but my husband has one one on his side of the bed. 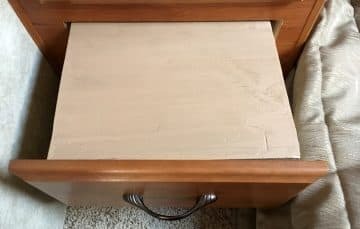 To make my nightstand, we cut a piece of wood that fits the exactly the width of the drawer. 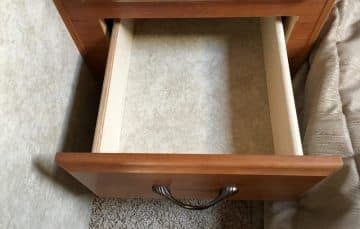 The wood has to be thin enough so that the drawer can still close. We put a 1/8-inch by 1-inch plastic strip on the bottom side of the shelf. The strip fit on the inside of the sides of the drawer preventing the wood from sliding side to side. You can stain or paint it if you want. 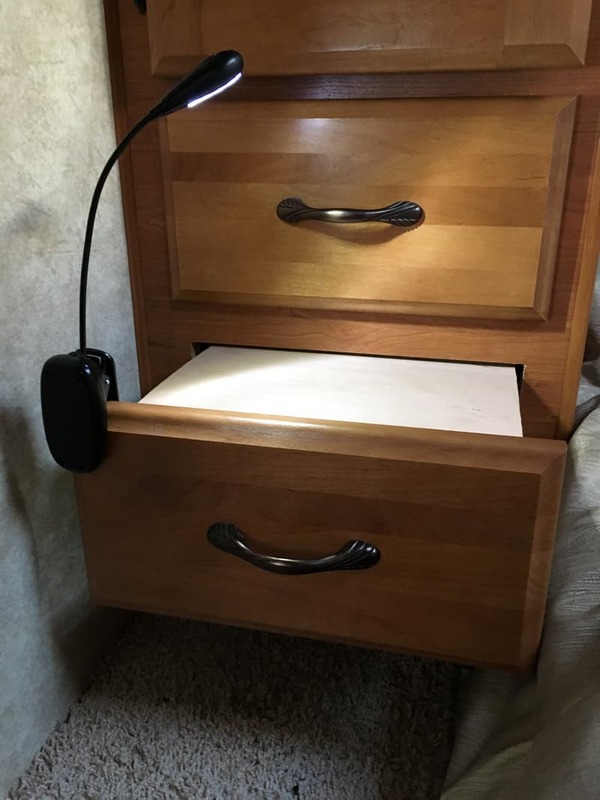 We attached a clip-on light to the drawer for light at night. We got the light on Amazon. The nightstand mod has worked out wonderfully! It took me one hour to complete this modification and cost me $0 because we had all the materials. In my opinion, the skill level of this modification is medium. In all of the years I have been RVing I have always been frustrated with the lack of dependable waste tank monitors. I wanted to improve the accuracy of these monitors. 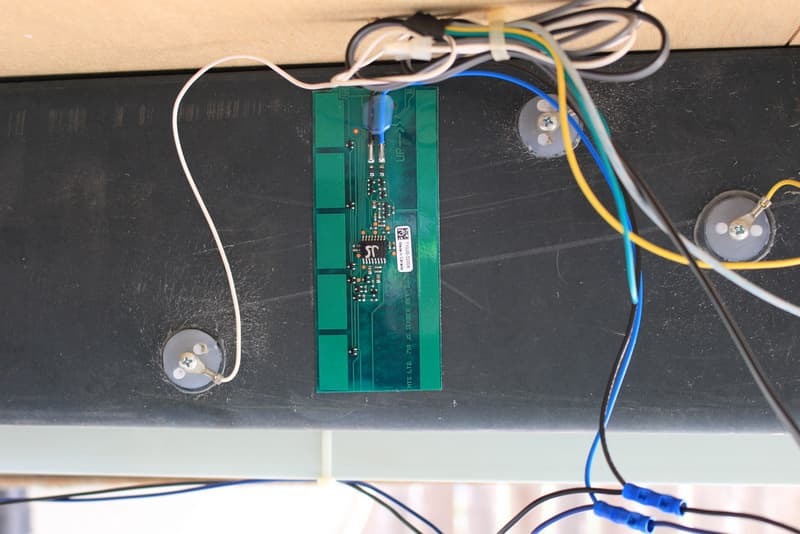 Installing the SeeLevel II waste tank monitoring system was a challenge in that it required removing the panels from the bottom of the truck camper to run the wiring from the waste tanks to the monitor. 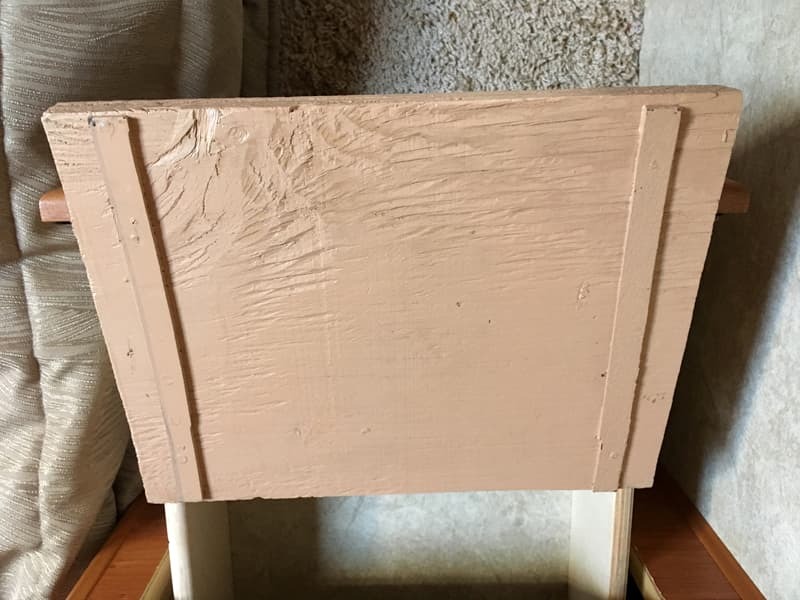 The fresh water tank is not accessible at all without removing the bottom panels. Accessibility to the black water tank is also very limited. 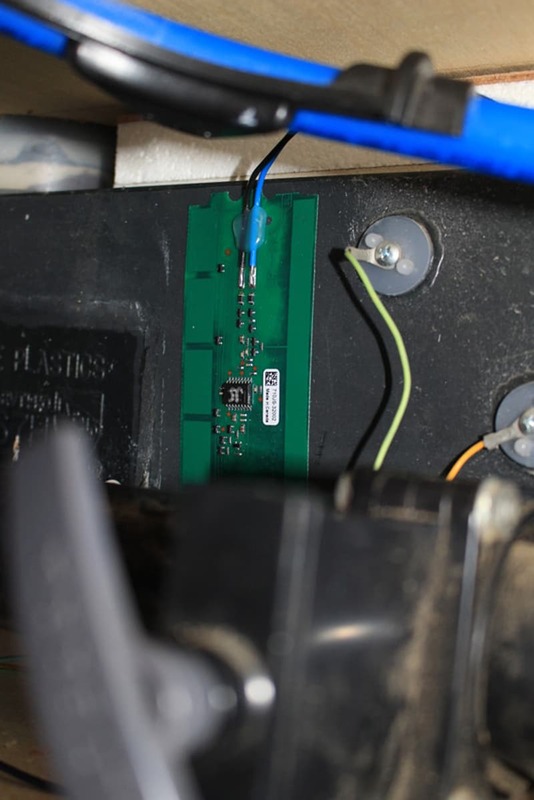 By removing the battery level monitor from the original Lance monitor panel, the new SeeLevel Monitor Panel was almost a perfect size to replace it. It looks almost factory.